PHOENIX, AZ – In the wake of the devastating storm that ripped through the Philippines and Vietnam over the weekend, management at the Super Typhoon Haiyan Water Park is considering a name change. 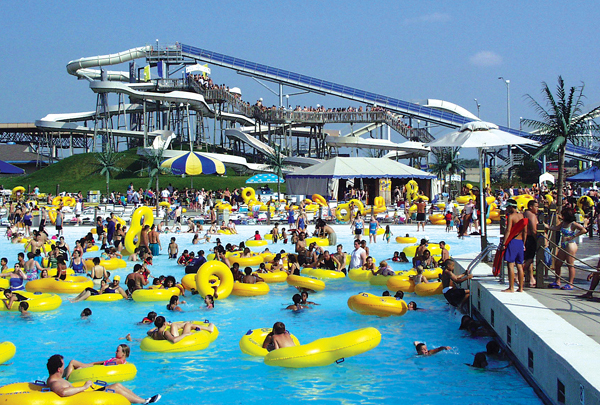 “Due to recent events, we feel it would be in the best interest of our business to revamp our brand,” said waterpark owner Timothy Nichols, who changed the name to Haiyan in 2005 because he thought it sounded exotic and needed a new moniker for the park formerly named after his wife Katrina. “Tsunami Island and Shipwrecked Paradise just don’t have the same ring to them,” said the defeated entrepreneur in reference to the fan favorite park areas. Mr. Nichols also admitted that, in retrospect, the Phlooded Philippines Lazy River was a total miss. “Maybe I should just sell to Six Flags.” At press time, the water park manager finally decided to rename the park Hurricane Harry’s, and unbeknownst to Timothy, Hurricane Harry was barreling towards Hawaii. Please consider a $25 donation to the Red Cross here. Big Pool With Slides Place. That might work.